Snoop Dogg is a truly unique figure insofar as rap legends are concerned. Think about it like this. How many rappers can boast a storied catalog of albums, countless contributions to the game, and collaborations with nearly every living legend? That in itself is an impressive accomplishment. Yet Snoop has managed to infiltrate popular culture on a level his peers could never fathom. He truly is Uncle Snoop in that sense, appealing from the hood to the suburbs, recognizable to all walks of life. Case in point, his ongoing collaboration with Martha Stewart, which has developed into a genuine, if a little bit unlikely, friendship. 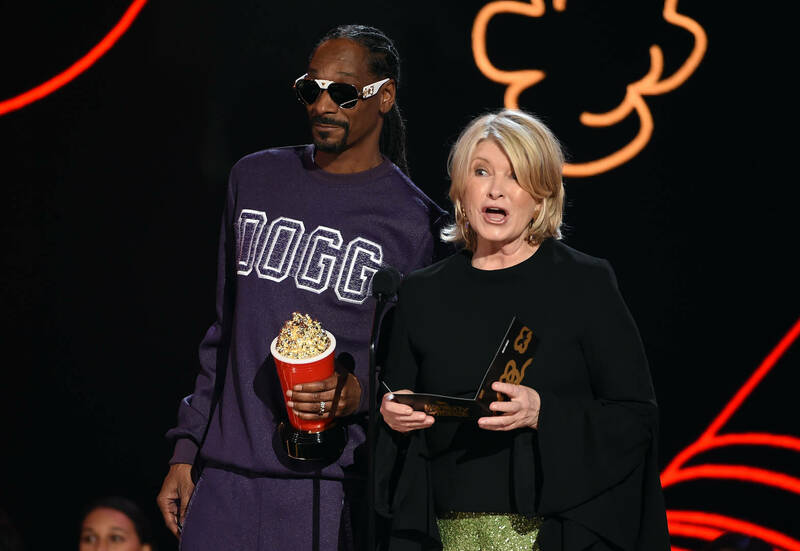 Now, with the return of their Martha & Snoop’s Potluck Dinner Party VH1 series (this time taking a competitive turn) set for April 3, Snoop and Martha have rung in the occasion with an amusing new teaser. Speaking to their unlikely camaraderie, the Dinner Party video parodies Titanic, with Stewart and Snoop channeling Leonardo DiCaprio and Kate Winslet respectively. As Martha holds a gleeful Snoop, she sensually guides his hands toward the deep fryers, prompting him to remark "I'm frying! I'm frying!" Brilliant stuff, really.